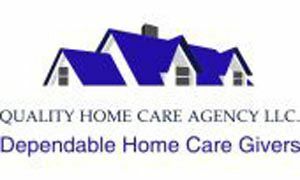 Quality Home Care, LLC is licensed as a Residential service Agency by Maryland Department of Health and Mental Hygiene, Office of Health Care Quality. We provide trusted and dependable care to seniors or physically/mentally challenged individuals in their homes thereby assisting them to realize their highest level of independence and quality of life. We are committed to providing quality care by staff members who recognize the value of the aged and disabled. We improve the lives of those we serve, realizing that those we serve includes the entire family and we take this mission seriously. They say home is where the heart is. We understand how painful it is to leave your home or to seek assistance and care. We offer a variety of services to help you or your loved one enjoy the quality care they need at home. Our selected caregivers will come to your home to help with anything from bathing and dressing, to meal preparation and light housekeeping. But mostly, we bring a ray of sunshine into our clients day, and a sense of comfort to their families. By offering senior care, elder care and many of the services in home health care in Maryland. Baltimore County Department of Aging.